You can display or hide fields dynamically inside the Grid application using the button “Columns”. 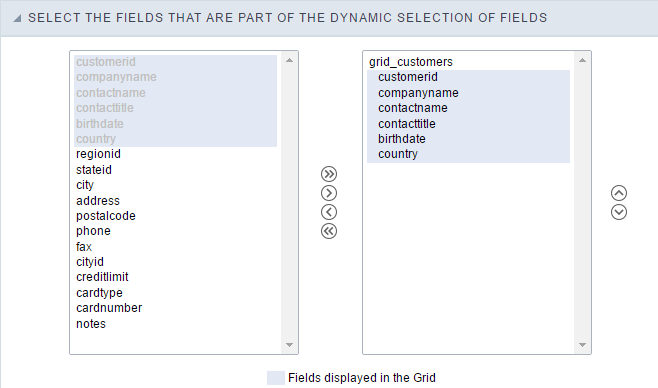 This option is used to select the fields/columns that will be part of this dynamic fields selection. The box in the left represents the fields that are NOT being displayed within the dynamic fields selection. The box in the right represents the fields that are being displayed within the dynamic fields selection.